Virginia Scrivener earned her CCRP (Certified Canine Rehabilitation Practitioner) and her CVPP (Certified Veterinary Pain Practitioner) in 2013, and her CVMA (Certified Veterinary Medical Acupuncturist) in 2015. She also became a certified Fear Free Professional in 2017. 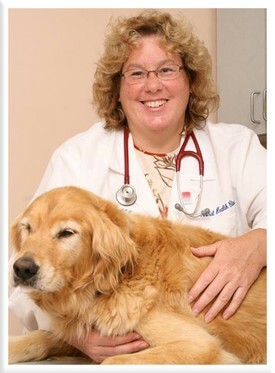 She attended Boonsboro High School and HCC before heading to the Ohio State where she earned her DVM in 1988. She opened her first practice, the Animal Health Clinic of Funkstown in 1993 and her second practice the Animal Rehab & Pain Center in 2014. She has one dog, a large breed terrier mix named Dallas. 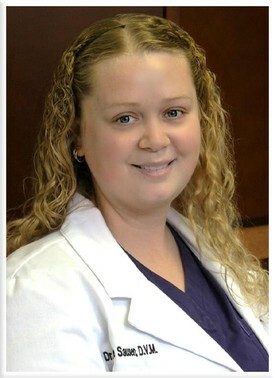 Tara Cumley attended Musselman High School, and WVU before heading to Tuskegee University where she earned her DVM in 2008. In addition to her husband David, son Jacob, and daughters Gracie and Emma, her family also includes 5 dogs (2 Rottweilers Kane and Adeline, Molly a Beagle, and Sugar a Terrier mix, and a Shih tzu Mix named Theo), 2 cats (Cleo and a one-eyed rescue cat named Bandit). Marie Sausen is originally from Morgantown, West Virginia. She earned her bachelors degree from WVU in 2005. 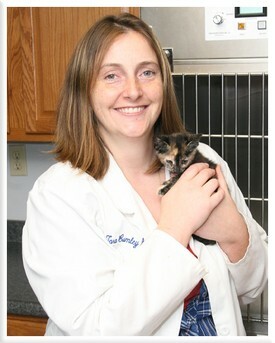 It was at Tuskegee University where she became friends with Dr. Cumley and earned her DVM in 2009. In addition to her husband Andy and daughter Emilia, her family includes her 2 dogs: Spot, a German Short-haired Pointer, and Lily a Labrador retriever.